Find one person on the planet without a single blackhead or who knows how to permanently get rid of them, and send them my way. It’s a nearly impossible task. Blackheads are (unfortunately) the one thing we can all relate to, so it’s our job as beauty editors to help find the answer to diminishing their appearance or, if possible, making them completely disappear and share our findings with you all. Up until now, while in search of the fastest way to make blackheads a thing of the past, we spoke to dermatologists who agreed that retinol will dissolve blackheads the quickest. However, this is something you need to continually keep up with in order to see results. And if you’re anything like me, then you like instant gratification. I was so sick of dealing with the blackheads on my nose and chin and needed something that would take care of business right away. 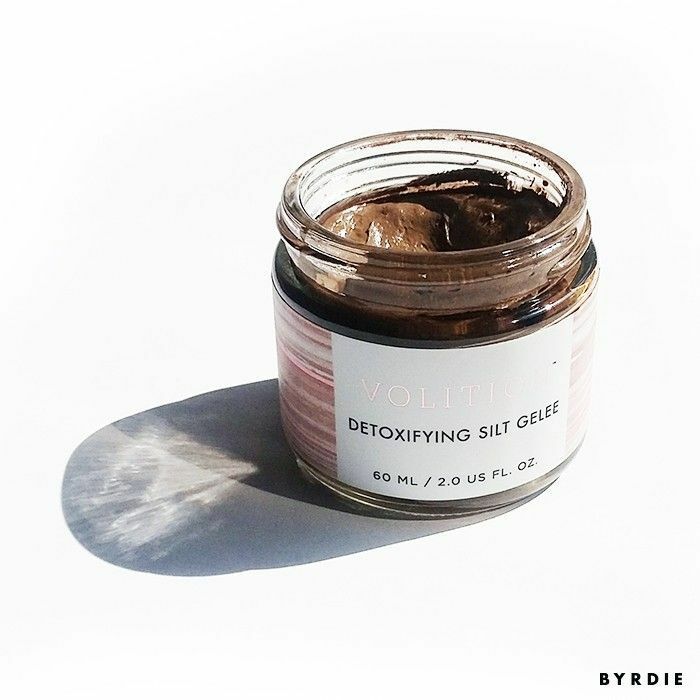 Enter Volition’s Silt Gelée Mask ($60). I’m skeptical about most masks (except for the sheet variation—I can never get enough of those), but after learning it’s fortified with purified Nordic silt, which hasn’t been touched by environmental pollution, to draw out your skin’s impurities, I was intrigued. So as with most products I can’t wait to give a go, I went home, immediately washed off my makeup, and slathered it on. The mask is extremely thick and dries quickly. Once all areas are covered (except the eyes, of course), you let it sit for five to 10 minutes; then use the included sponge to wipe it off with lukewarm water. The sponge is small, round, and a little coarse, but it provides nice exfoliation. Aside from the fact that my sink was temporarily brown post-cleansing, my skin felt like a dream. I went to sleep, anxious to wake up the next morning and see the results. Much to my pleasant surprise, I couldn’t believe how many fewer blackheads I had the next day. There were still a couple of pesky black specks on my nose, but most of my pores were noticeably cleared out and appeared smaller in size. What’s also nice is that even though this mask is quite thick and dries on like papier mâché, it’s fortified with shea butter and quinoa protein to keep your skin feeling soft and supple so it doesn’t resemble the Badlands once everything’s all said and done. I felt the heavens open up and heard angels singing—I had finally found the holy-grail blackhead eraser. Are you going to give this product a try? Tell us below!